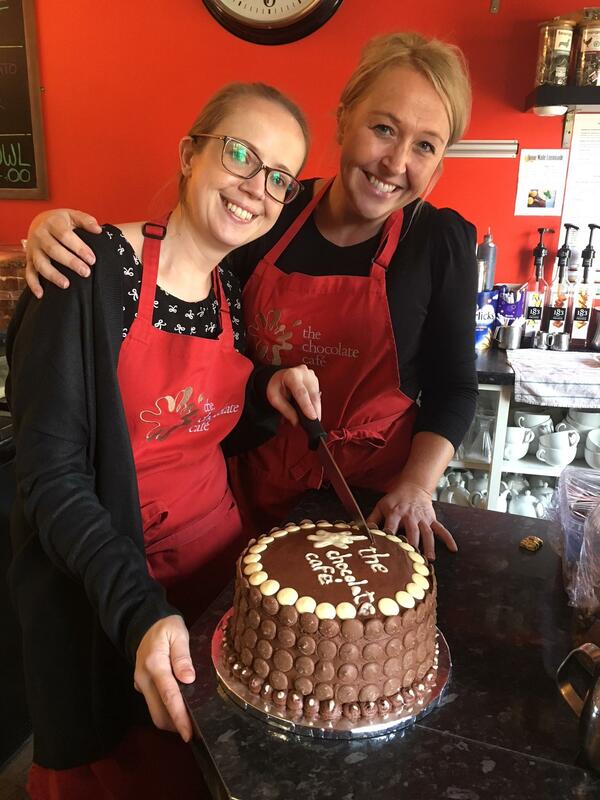 We are an award winning, family owned, family run chocolate café in the lovely town of Ramsbottom in Lancashire. We have been established for nearly 10 years and become a favourite stop for the locals, dog walking and steam train riding visitors, serving them delicious food and chocolate, hand made in our shop. Owned and run by 2 sisters, Paula and Josette, this is a real family business, with all generations helping out where they can. We have even put this website together by ourselves, including all of the photography ! Our purpose and passion is serving the people of Ramsbottom and its visitors high quality, locally sourced food and drinks in our café, whilst making delicious, quality chocolate in our mini-factory downstairs, selling it to customers both in person and now online. We believe strongly in being fair to all, environmentally sound and having a positive impact in our community. The majority of the ingredients in our chocolate (cocoa & sugar) come from our key partner in Colombia - Casa Luker. Casa Luker have worked directly with Colombian cocoa farmers for over 50 years and believe passionately in building lasting long term relationships based on sharing, mutual support, training & education. By working with Casa Luker we ensure more of the initial processing is done in Colombia and therefore more of the profit from the cocoa stays in the country of origin. For more information on the 'Cocoa Journey', including the story of where the journey in Colombia begins and how it makes it's way to Ramsbottom, click here. We work closely with our suppliers to ensure that we are doing all we can to reduce our impact on the planet. Working with a local specialist waste company we are now recycling almost 90% of our waste, and together with our packaging supplier we are working towards making all of our retail packaging both recyclable and biodegradable. We also source all of our fruit, vegetables, milk, cream and cheese from Lancashire and Greater Manchester ensuring we are reducing food miles and supporting local producers. We are passionate about small business and are proud to be based in Ramsbottom; a beautiful Lancashire mill town blessed with an array of quality independent businesses of all kinds. We are an active member of the Ramsbottom Business Group and the creators of the award winning Annual Ramsbottom Chocolate Festival. Since 2008 we have also helped numerous good causes and donated in excess of £10,000 to local charities, schools and community groups.